Interview: Claudia Rankine, Author Of 'Citizen' For her latest collection, Claudia Rankine mined her and her friends' encounters with racism. She says she wanted to talk about "what happens when we fail each other as people." Here's a common complaint about poetry: It's the oldest form of expression, but what can it do for us now, in an age of social media, Twitter, Facebook and national urgency? 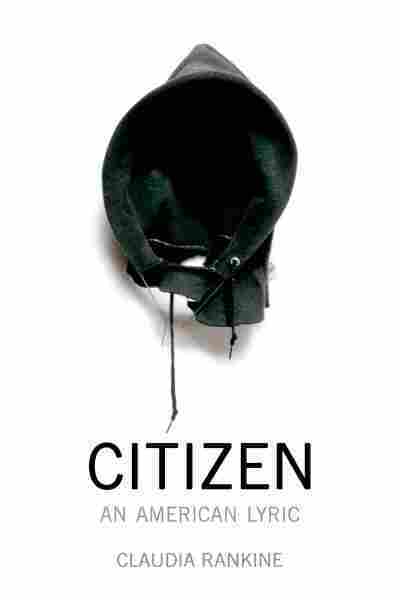 African-American poet Claudia Rankine's latest collection, Citizen: An American Lyric, has an answer. It's a very personal meditation on race in America with a cover that recalls Trayvon Martin — a black hoodie against a white background. You and your partner go to see the film The House We Live In. You ask a friend to pick up your child from school. On your way home your phone rings. Your neighbor tells you he is standing at his window watching a menacing black guy casing both your homes. The guy is walking back and forth talking to himself and seems disturbed. You tell your neighbor that your friend, whom he has met, is babysitting. He says, no, it's not him. He's met your friend and this isn't that nice young man. Anyway, he wants you to know, he's called the police. Your partner calls your friend and asks him if there's a guy walking back and forth in front of your home. Your friend says that if anyone were outside he would see him because he is standing outside. You hear the sirens through the speakerphone. Rankine tells NPR's Eric Westervelt that all of the encounters described in her book actually happened: "There's no imagination, actually. Many of the anecdotes in the book were gathered by asking friends of mine to tell me moments when racism surprisingly entered in when you were among friends or colleagues, or just doing some ordinary thing in your day." You go through the day assuming certain things — that other people are seeing you as a person, you know. That's sort of basic. And when these moments come in to your day in these ordinary events, it's shocking and it's disturbing. And the disturbance is deep because it goes back to the roots of racism in this country. "If you're a white person, there's one way of being a citizen in our country; and if you're a brown or a black body, there's another way of being a citizen and that way is very close to death." On the one hand, I am talking about institutionalized racism. But on another and, I think, equally important level, I'm just talking about what happens when we fail each other as people. There are two worlds out there; two America's out there. If you're a white person, there's one way of being a citizen in our country; and if you're a brown or a black body, there's another way of being a citizen and that way is very close to death. It's very close to the loss of your life. It's very close to the loss of your liberties at any random moment. And so I wanted that to be considered.